It’s not uncommon these days for people to have a number of pensions in different places, particularly as – unlike in years gone by – we work for several different employers over the course of a lifetime. And there’s nothing wrong with having a number of different pensions, as long as they are working for you and will, collectively, achieve the income you want in retirement. In practice, though, many of us build different pensions on a piecemeal basis, so it is difficult to assess an overall picture of their effectiveness and value. It may be better to take professional advice and ultimately transfer a pension or pensions to a new provider or providers. And there are a number of options available, such to a new employer’s workplace pension scheme, a personal pension scheme, a self-invested personal pension (SIPP) or a stakeholder pension (SHP) scheme. Transfer can happen at any time up to a year before the date that you are expected to start drawing retirement benefits. In some cases, it’s possible to transfer to a new pension provider after you have started to draw retirement benefits. 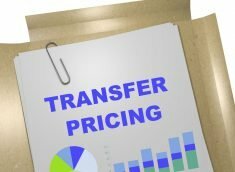 How do I make a pension transfer? Pension transfers are best made by a pension transfer specialist. At Hartsfield, we have our own, in-house pension transfer specialist who will make all the arrangements for you, once you have taken advice and decided where you want your pensions to be transferred to. You may have sought advice from an independent financial adviser who is not based with Hartsfield, and who doesn’t have the necessary qualifications or the required Financial Conduct Authority (FCA) authorisation to make a pension transfer. That’s fine, as we are more than happy to assist you and your IFA in the transfer part of the process. Please get in touch with Hartsfield to talk about pension transfer advice with our pension transfer specialist.